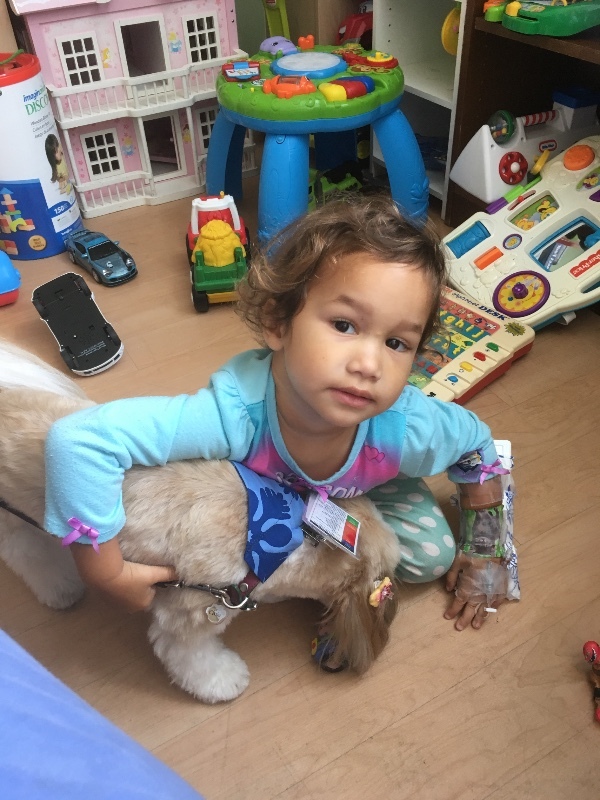 Kahalau went from being a happy go lucky healthy child about to embark her journey in Hawaiian Immersion Preschool to being sick with a tummy ache and ataxia- hard time walking and keeping balanced. When she no longer wanted to walk or stand we knew something serious was happening. We had a cat scan of her brain done on Maui to reveal nothing abnormal; were sent on the AMR medical airplane to have an MRI of brain to triple check; then a Spinal Tap to check for infections and those came back normal. We then had a Cat scan of her stomach and MRI of spine to see if anything was lurking there to cause these most unusual symptoms. That is when we found a large mass in her stomach. 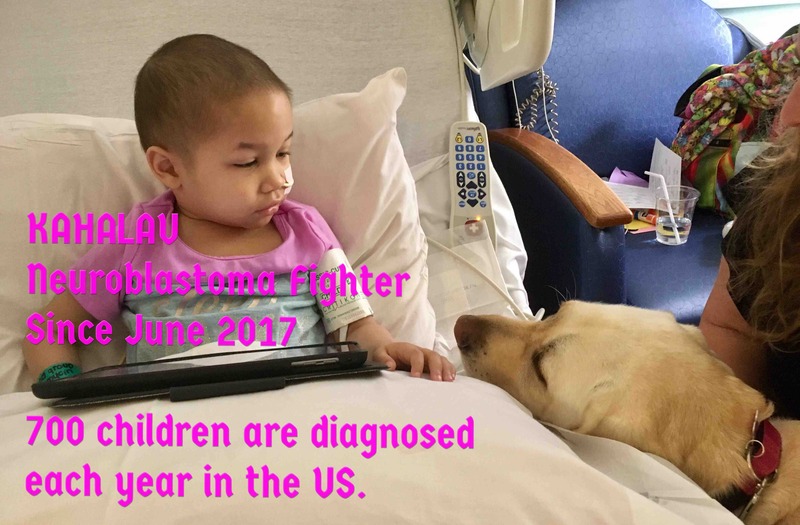 A biopsy was performed on Monday July 3rd at Kapiolani Medical Center in Honolulu revealing on 7-11-17 she has Stage 3 High Risk Neuroblastoma - a pediatric cancer of the nerve cells. She qualified for a clinical trial and Will go through 18 months of treatment. Thankfully the cancer is isolated to her abdomen and has not infected her bone marrow. 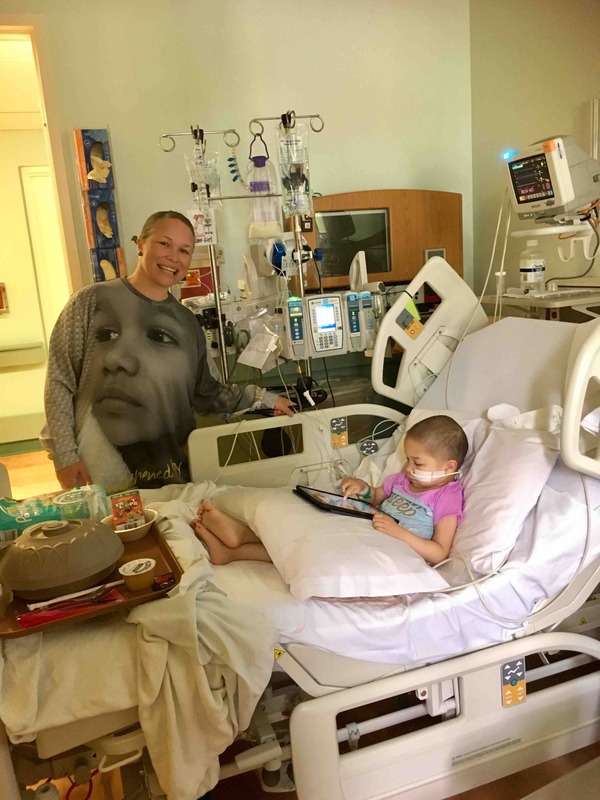 She finished 6 rounds of inpatient chemotherapy in 5 months, a major surgery to resect what was left at Seattle Children’s Hospital and now is starting the consolidation phase of treatments with Stem Cell transplant, radiation, and immunotherapy. We will keep you updated as we start this journey as an 'ohana. Kahalau is doing great! Kahalau will turn 5 years old soon! She is now 5 months post treatment for Neuroblastoma Stage 3 High Risk and remains STABLE DISEASE. Remission is not achieved until 5 years of stable disease is reached post diagnosis. That would be July 2022 for her! 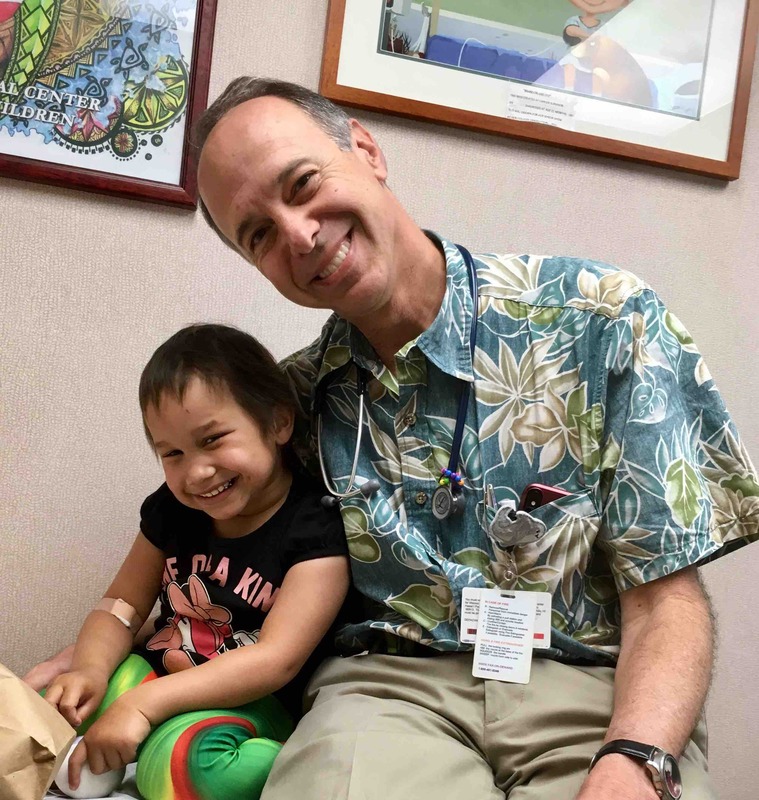 Kahalau’s latest scans in March showed no change to the inch of tumor that remains after 18 months of frontline COG treatments. Kahalau is on a study drug for the next 2 years called DFMO that helps decrease the rate of relapse. It is 3 pills twice a day which can be diluted in water and mixed in yogurt which makes it painless for her. Kahalau still has leg pain off and on throughout the week mostly in her thighs. We massage it and use a heating pad or Tylenol helps if it is unbearable. This is a side effect of cancer treatment. Kahalau still has GI issues as well. She takes many vitamins, CBD oil, and supplements and eats well but still stools are mostly mush at best. It is always a celebration when it’s normal! The good thing is her weight gain has been steady and she loves to eat! Kahalau’s last labs showed normal levels and her trend for VMA and HVA levels are just where they need to be! We are so thankful to give this time of normalcy back to Kahalau. 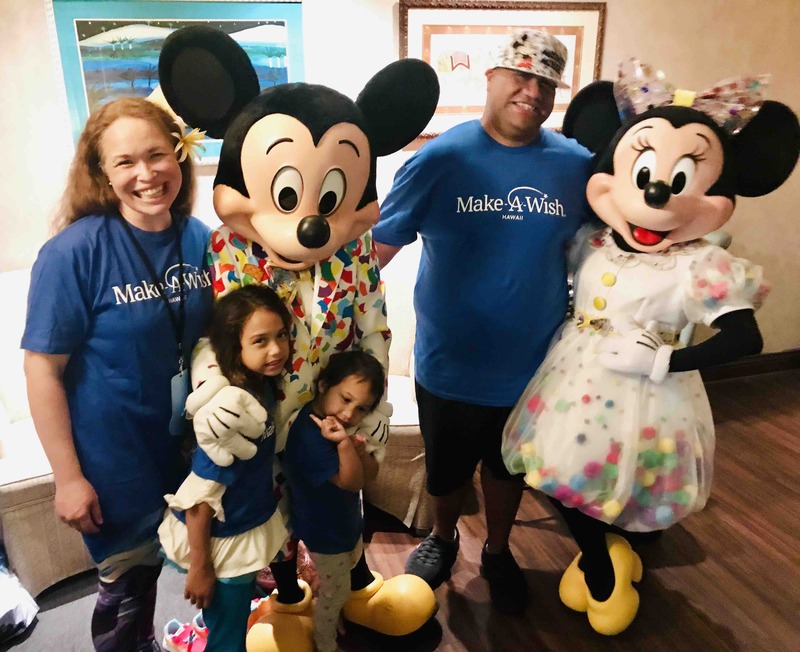 Kahalau’s wished to meet Mickey and Minnie at Disneyland and the amazing Make-A-Wish Foundation granted her that wish come true! 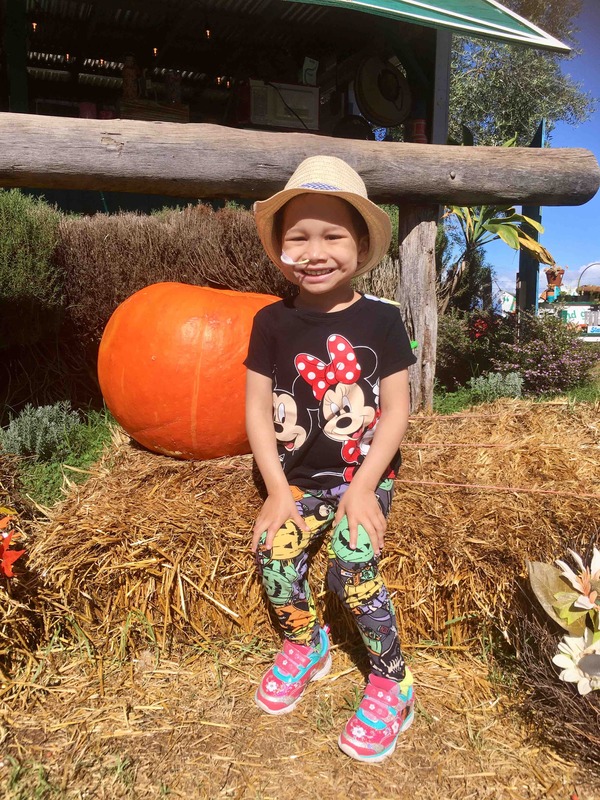 It was an ultimate 5 day adventure and it really helped solidify her accomplishment as a Neuroblastoma Superhero! Kahalau has a check up coming up in a week along with a lab draw/urinalysis. We expect normal results! She has her annual hearing test coming up as well. 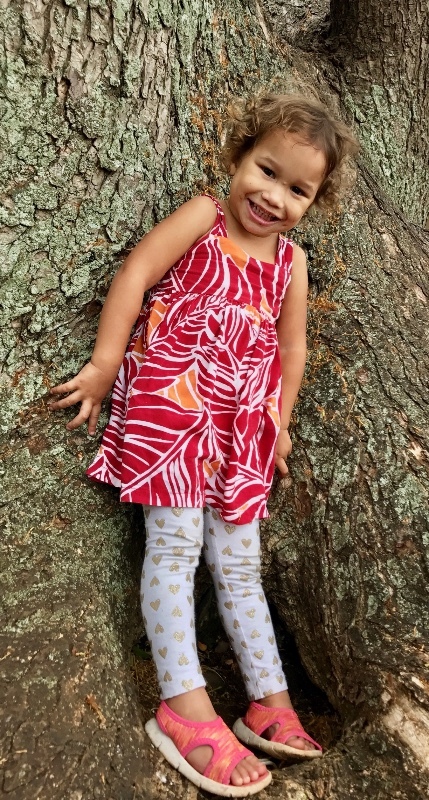 In May Kahalau will be due for an MRI and mIBG scan to monitor her and make sure she is not a part of the 50% of kids who relapse in the first 2 years. Look for the next update then! Mahalo from the bottom of our heart for your love and support as we continue to fight cancer with faith, courage, and love for Kahalau! We are so happy and blessed to have given Kahalau the best holidays ever! Being home with family is treasured time. Time we Neuroblastoma super families know is the ultimate gift. 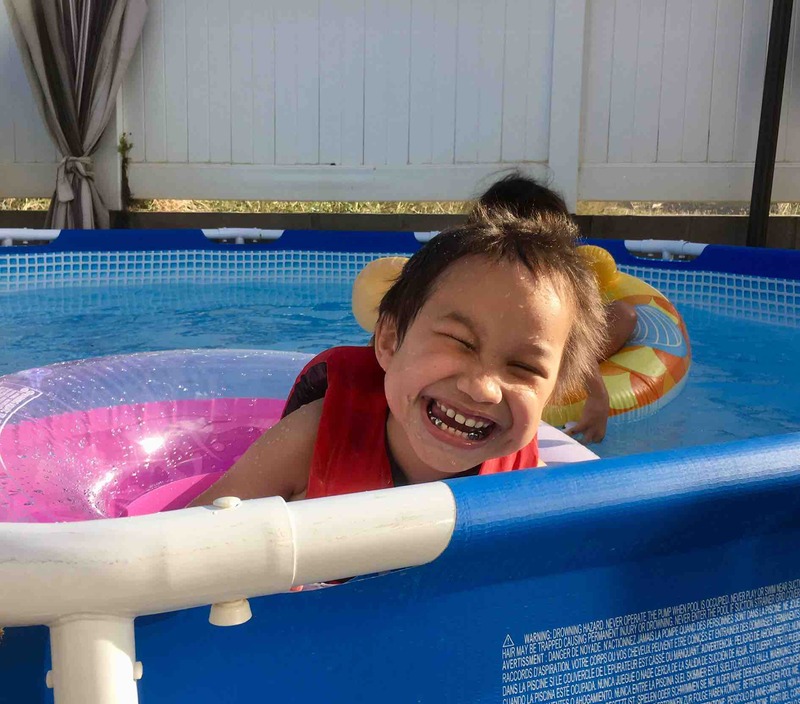 We decided to remove Kahalau’s central line just before Christmas so she could be a normal kid again and be back in the water swimming with sister and family. We are monitoring her VMA levels which show early indications of relapse by watching the trend of numbers. We have to wait a few weeks for the results of today’s urinalysis because December’s test came back with slightly elevated numbers for the first time in months. We had to discuss the potential- the hardest word to say-relapse. Because more than 50% RELAPSE. It sickens us to our stomach to have to even think about what next or new treatments that this NB VILLIAN is not ready for. But until it’s confirmed we will continue to live like we always have by giving Kahalau the best life she can have as she never chose to have to battle for her life! Back at home on Maui swimming again! We want to take this time to update you on how Kahalau is doing on this very special day. 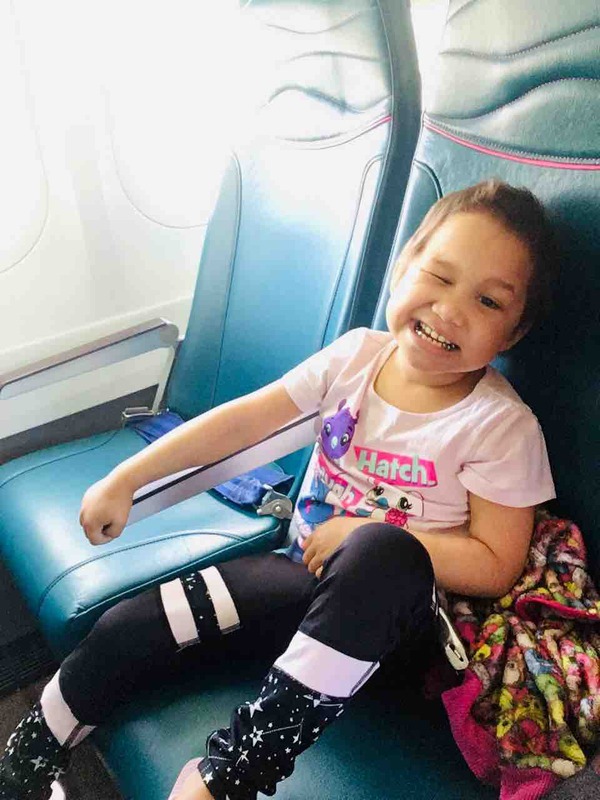 Kahalau has completed frontline treatment for Neuroblastoma Stage 3 High Risk with her last inpatient infusion being September 21st; and her last Round of Immunotherapy as home treatment administered by her caregiving mom in early November. She had her NG (nasal gastric) tube used for supplemental formula feeding removed since her weight gain is stable and she loves to eat! Kahalau is doing great! We can put treatments behind us for now. Her end of treatment scans mid November were indeterminate due to a super small questionable area near the bowel that usually is scar tissue from surgery. Because no spreading was detected she can stay on the study drug DFMO which is supposed to help prevent relapse. She will take it twice a day for 2 years as long as she does not relapse. Kahalau’s VMA and HVA levels are at normal range (a protein that is present with active Neuroblastoma) which is very reassuring because it was over 200 at diagnosis and now it is 8. Normal levels are 0-12. So Kahalau will now have monthly check ups at Kapi’olani Hospital off island on Oahu and a urinalysis every time to make sure there is no indication of relapse. Then she will get SCANS every 3 months which is a 3 day process at Kapi’olani for MRI and miBG scans...for a year. That is what our new road map looks like! It shows more time at home with family getting life back and slowly recovering from all the toxicity. Daily doses of vitamins and minerals and extra Vitamin D and magnesium. Daily doses of playing carefree at home on Maui with daddy and sister again, where kisses flow freely with or without the mistletoe! Kahalau endured a battle and the reward is here. The true reality of relapse is 50% so we live now like we never lived before and are so thankful and grateful for the outpouring of love and support that carried us through the journey. Kahalau will most likely have her central line removed as long as her levels stay stable in the coming months. She gets visits from Make A Wish to remind her that her one true wish of meeting Mickey and Minnie at Disneyland will come true soon! We want to wait until her central line is removed for her to truly enjoy the experience. Updates will come as available but please also visit www.fb.me/Kahalauscancer for more frequent photos and stories about her life after treatment. Donations still help cover medical supplies, food and nutritional supplements, necessities of a growing toddler, and items that promote her well being. 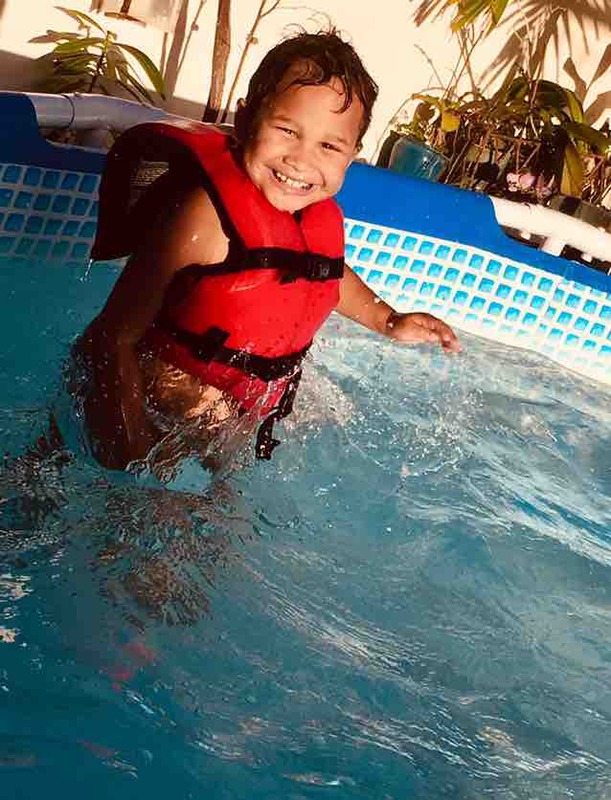 Mahalo for giving to this little Ray of sunshine! We pray her smile brings you an everlasting light of love and aloha. 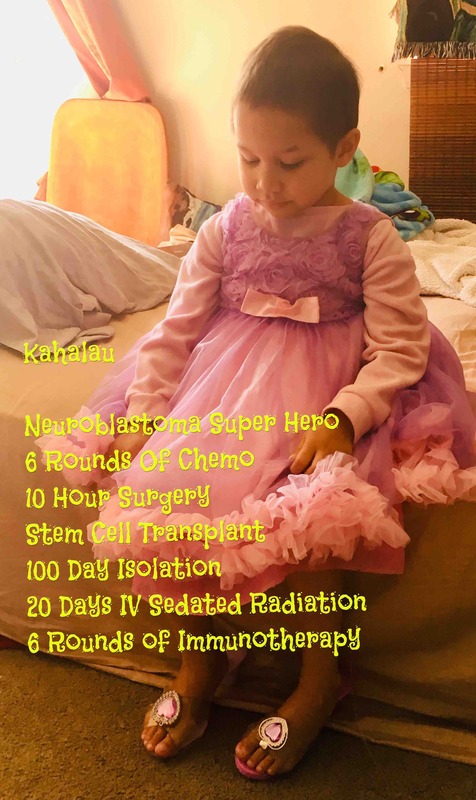 Kahalau is 24 hours into enduring this combination of medicine to treat her Neuroblastoma (High Risk Stage 3). 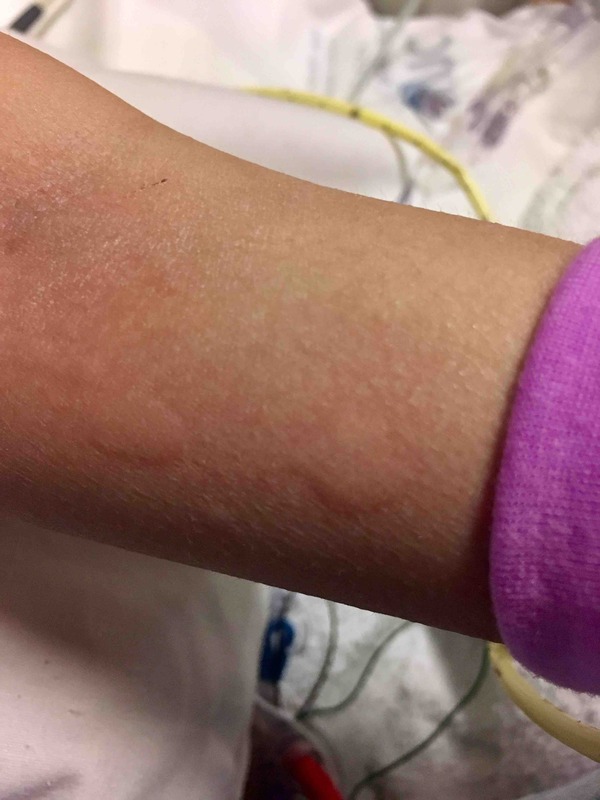 It causes severe nerve pain which is controlled with a constant drip of Morphine. Infusion reactions as also controlled with many antihistamines and anti inflammatory medicines. It works by binding to neurons and causing the special white blood cells (IL2) to attack and destroy foreign cancer cells. She will get through it because she is so strong and smart and funny and has a tenacious spirit. But also because she really really wants to go to Disneyland and do all the fun things normal kids get to do. She is highly motivated by being done with treatments to experience this. In the mean time costs add up so much during treatments, especially since mommy takes a break from working so much to help care for her and get her through her treatments every step of the way. 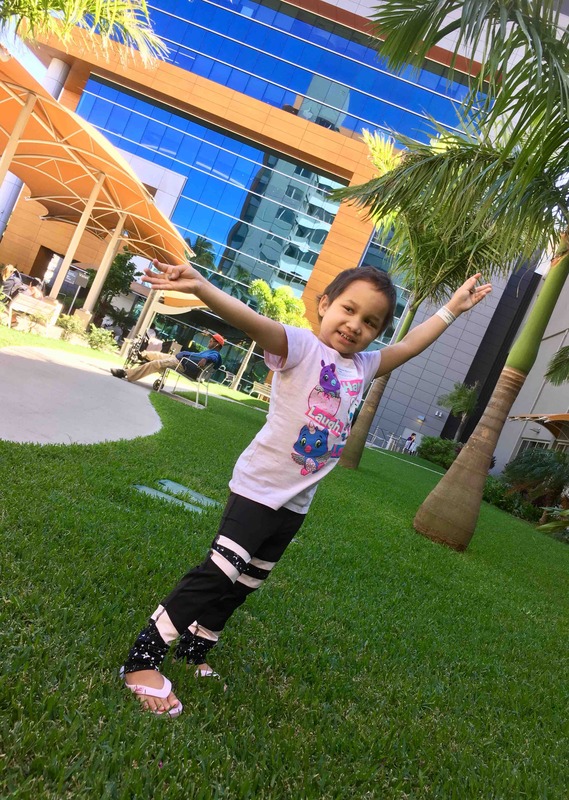 Any donations are used to offset Kahalau’s costs of treatments, medical supplies, new apps to keep her busy and happy, favorite snacks and foods, healthy formulas and feeding supplements, clothing, toys, special Bite Squad or Uber Eats deliveries, and of course the big day ahead soon - going to Disneyland at end of treatment! Thank you from the bottom of our hearts for your enduring love and support throughout this journey. 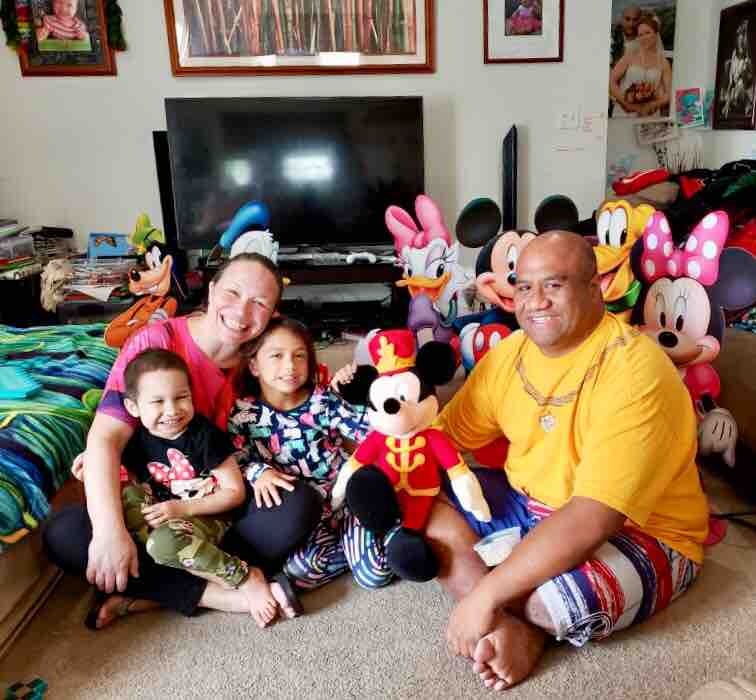 Community funding has been the backbone of Kahalau’s treatment success. 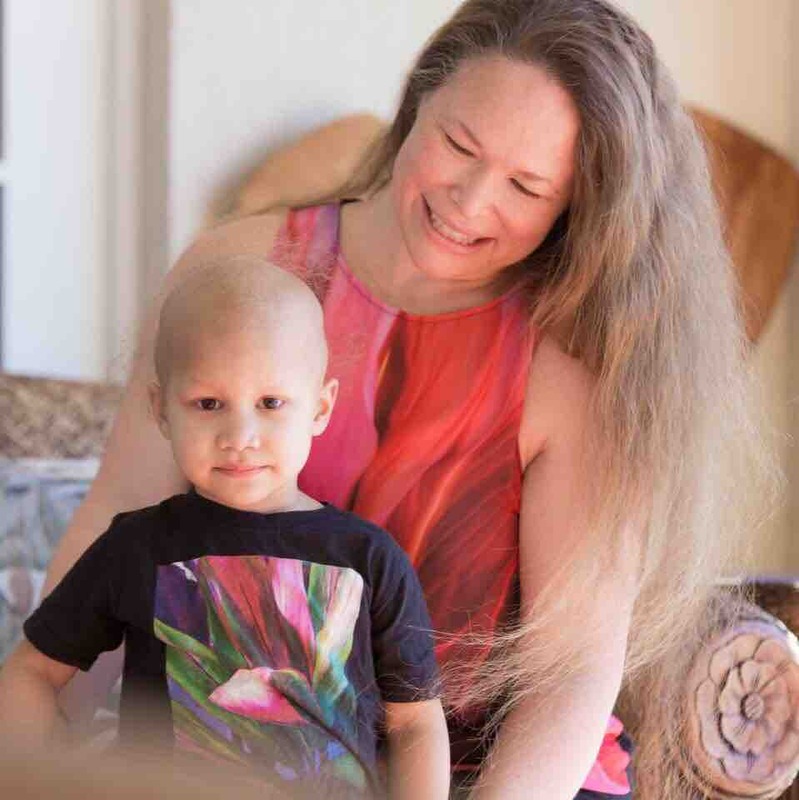 Rachael would rather not work and carry this little angel through than be like most parents in the hospital who have no choice or even choose not to be apart of the daunting task of being a cancer caregiver. Nothing saddens her more than hearing the lonely cries of neighboring children who only have nurses and volunteers to comfort them. Donations small and big change our world!